This year marks the start of something new for Grace. Creative Director Shawn Slater, set builder Cary Lyon and I have gathered a core group of talented and willing volunteers from the high school student ministry to assist in the set construction for our main auditorium stage sets and artwork beyond the walls of the sanctuary. 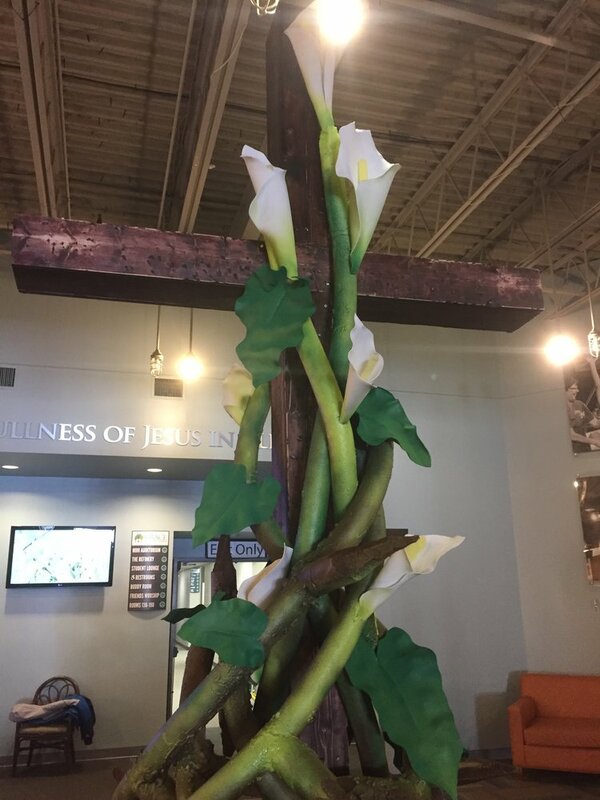 This is an example of one such project for the days leading up to Easter this year. 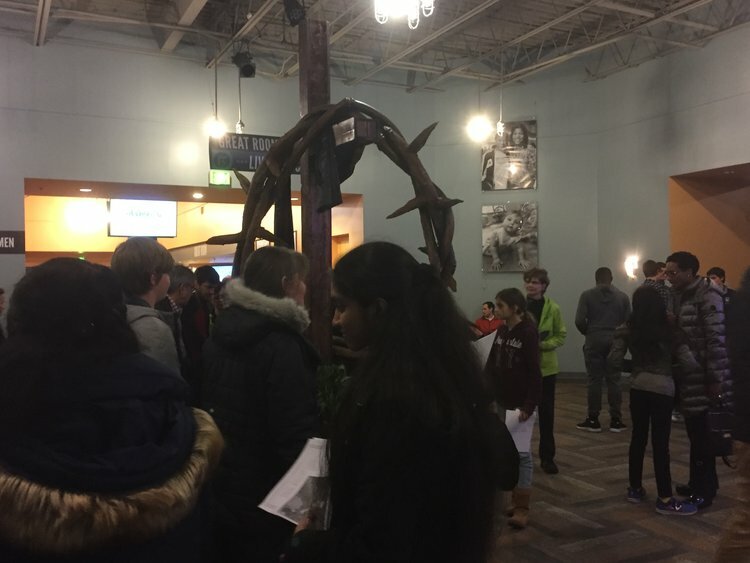 The cross first appeared in the mini-auditorium for the Maundy Thursday reflective service with a purple cloth draped over it. 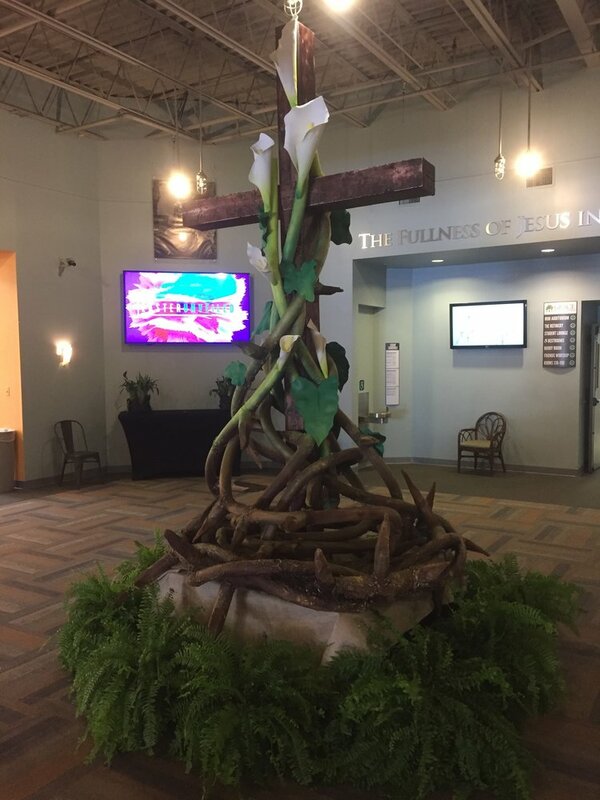 Then for good Friday it was moved to the more prominent main hub and a 7 foot crown of thorns was added. The crown was constructed using pool noodles, foam insulation and paint. 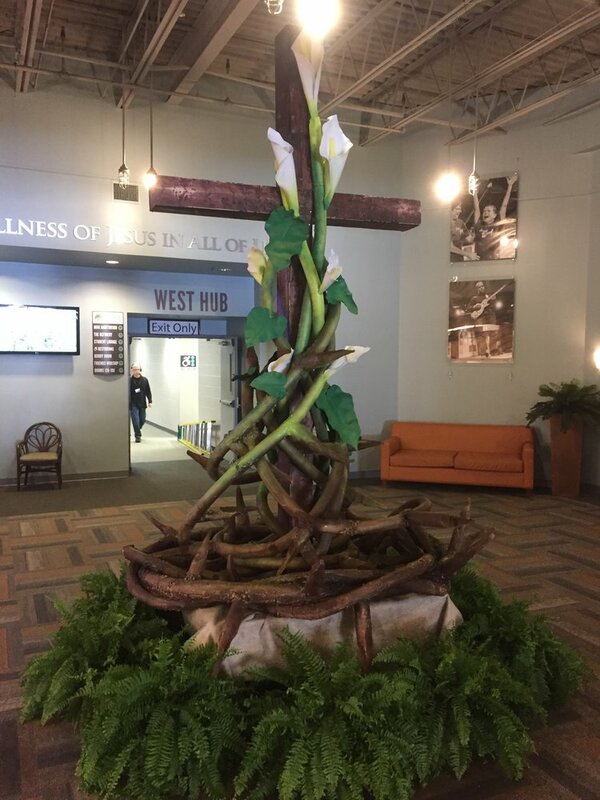 By Easter morning, we dropped the crown and added the fresh green lily vines and white lilies in a symbolic gesture of life from death. Families used it as a back drop for photos and was widely praised.